When creating a group registration, you will be creating separate questions for the contact person and actual participants, i.e. the group members. Questions to the group member: Questions to be asked each of the participants. e.g. special diet, workshop and dinner participation, t-shirt size etc. 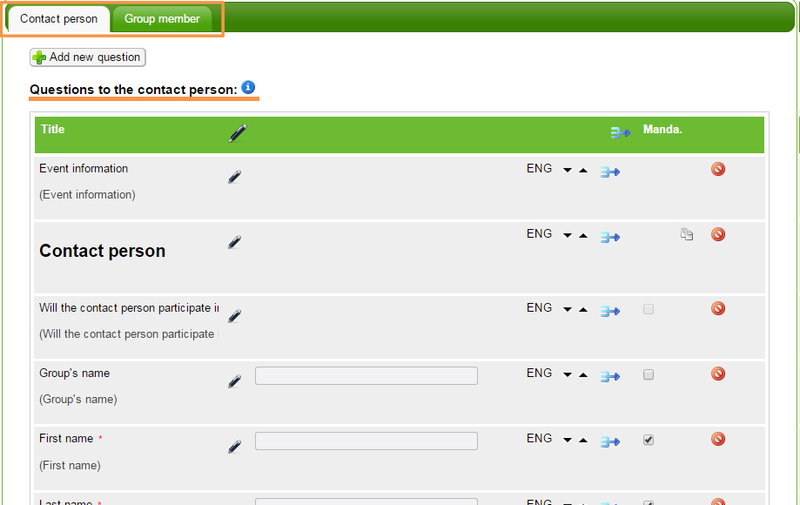 If the contact person is also a participating member of the group, you can limit the questions aimed at the contact person to just their name and e-mail (they are used for confirmation). It is always good to mention that if the contact person will take part in the event, they have to fill in their details as a participant as well. 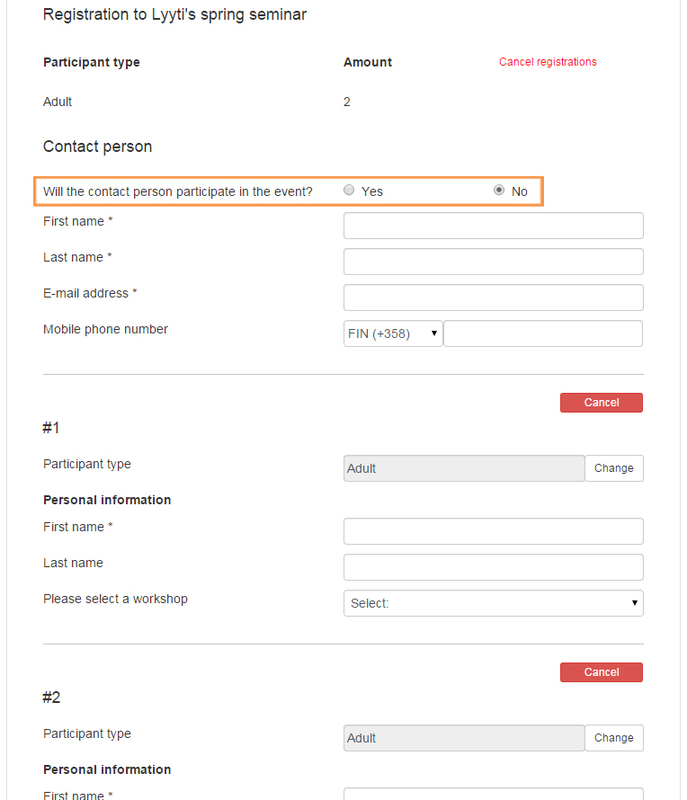 In group registration, Lyyti adds the question "Will the contact person participate in the event?". If the answer is Yes, Lyyti copies some of the contact person's answers in the first participant's answer fields. This only works between questions taken from Standard questions. It is advisable to ask for the contact person's e-mail address, since the confirmation message is sent to that address.